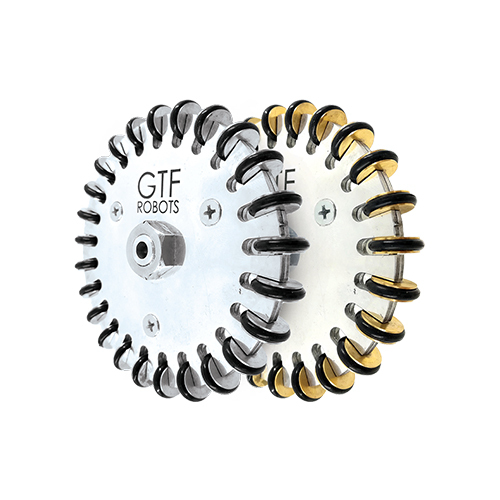 The "Omni directional wheel" with the aluminum body is used as robot wheels such as soccer robot and junior robot in RoboCup competitions. 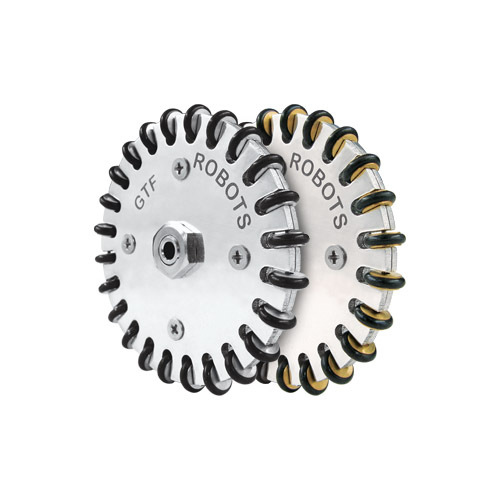 It can rotate in multi-directions. 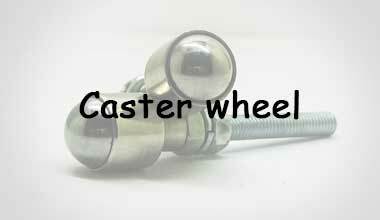 The “caster wheels" have 360 degrees freedom and are designed for robotic competitions. 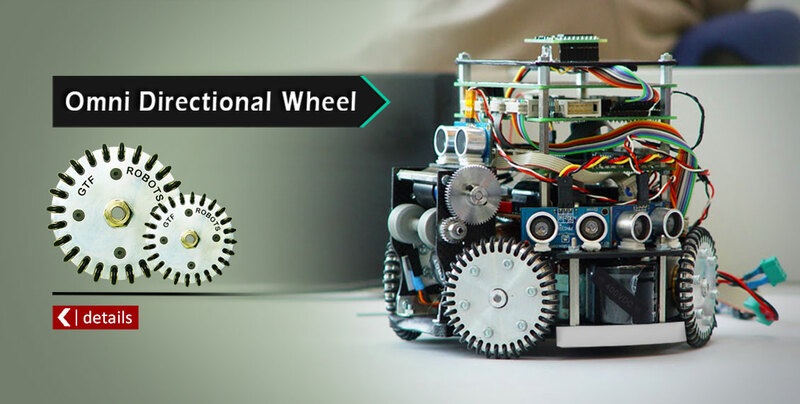 The “aluminum wheels" are simple, efficient and useful for robots, especially Labirint Robot, Maze Robot and Rescue Robots as they are solid and robust. 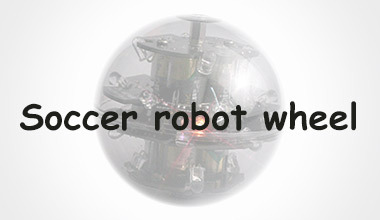 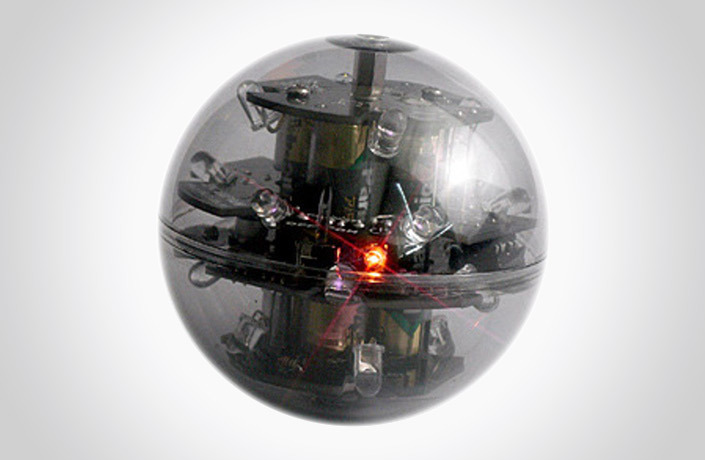 The "Infrared ball" compliant to the new specification of soccer competition: "RoboCupJunior" with powerful battery. 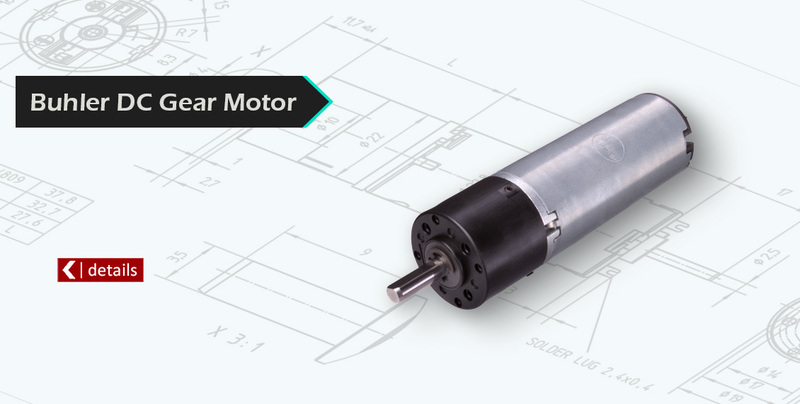 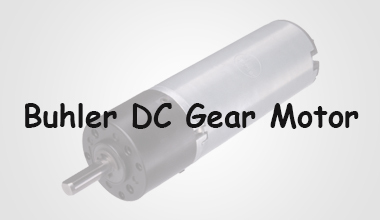 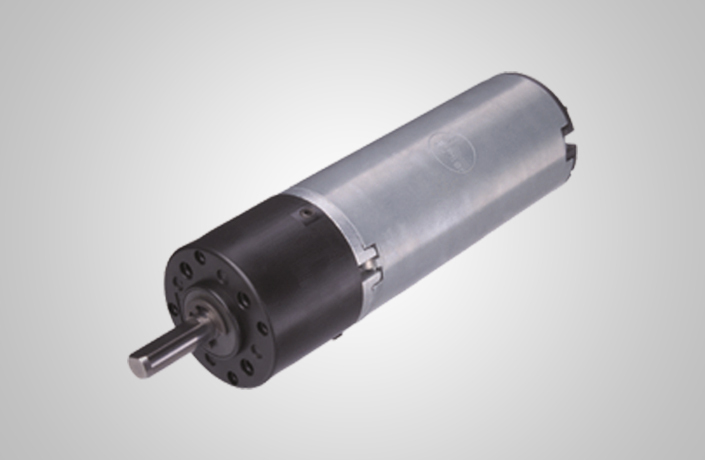 The “Buhler DC gear motors " are synonymous with high-quality electric drive technology and they are available as standard products. 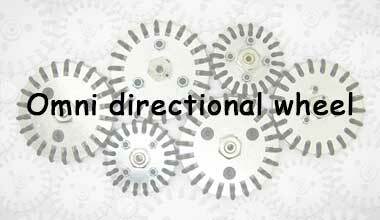 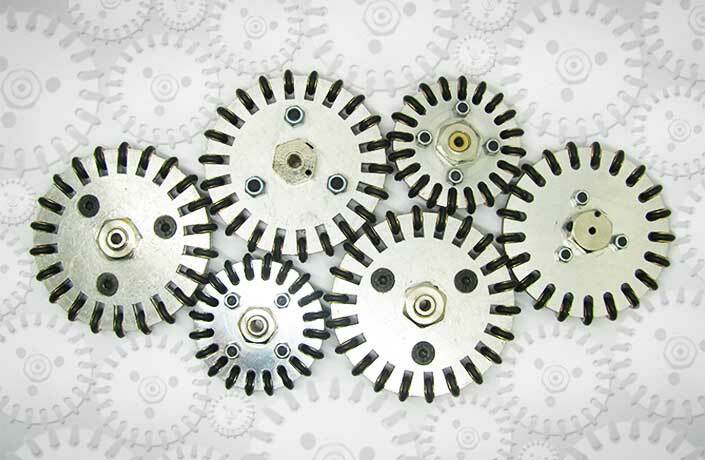 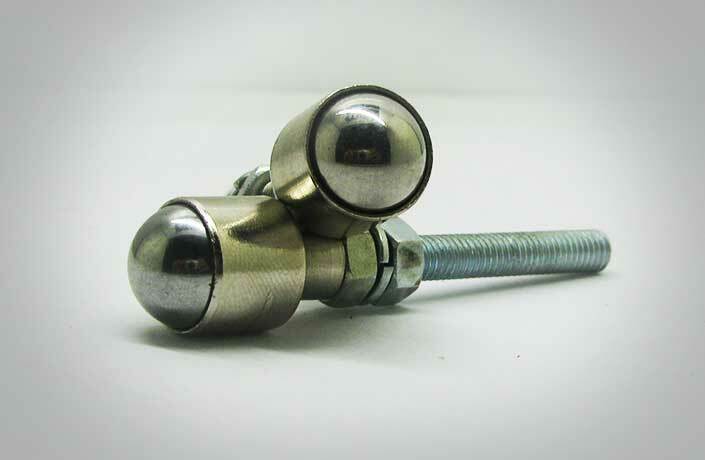 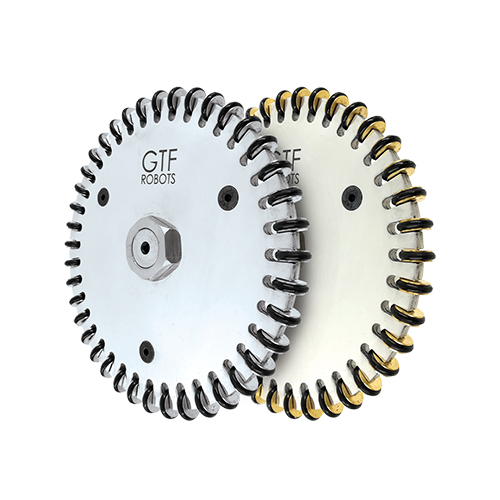 Omni directional wheel with 150, 100, 70 and 50mm diameter and 2 hole diameter 4 and 6mm for each. 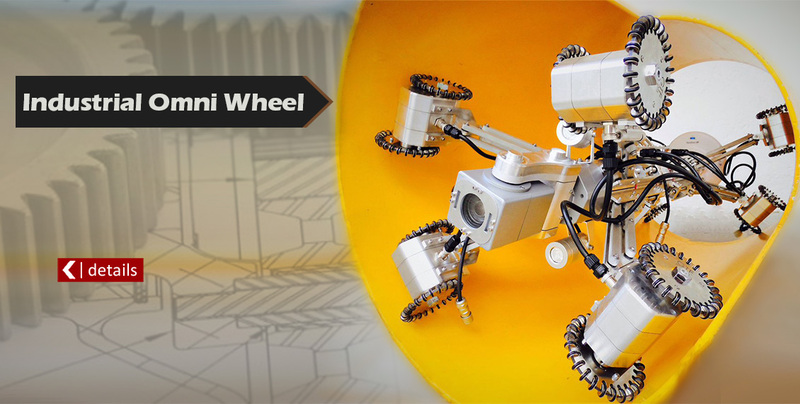 The material of the Omni wheel body is aluminum and each has 4 grades. 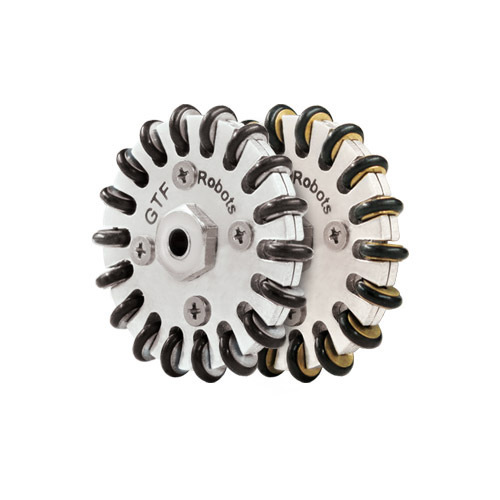 The rollers are made of steel or brass. 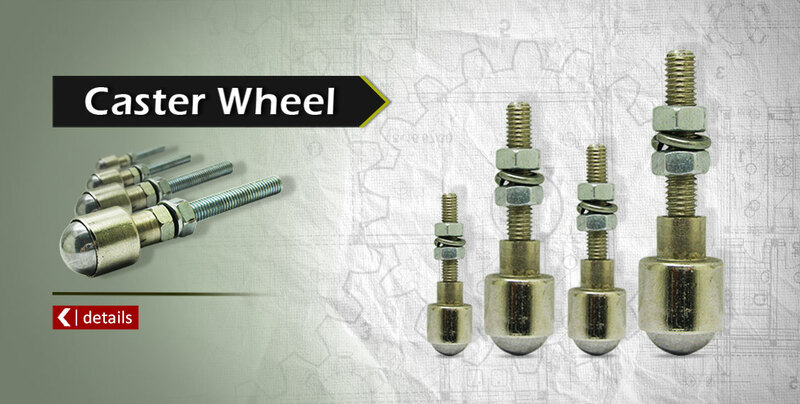 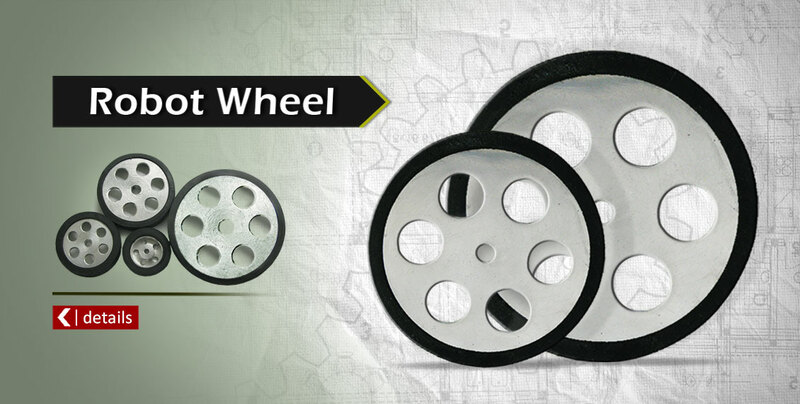 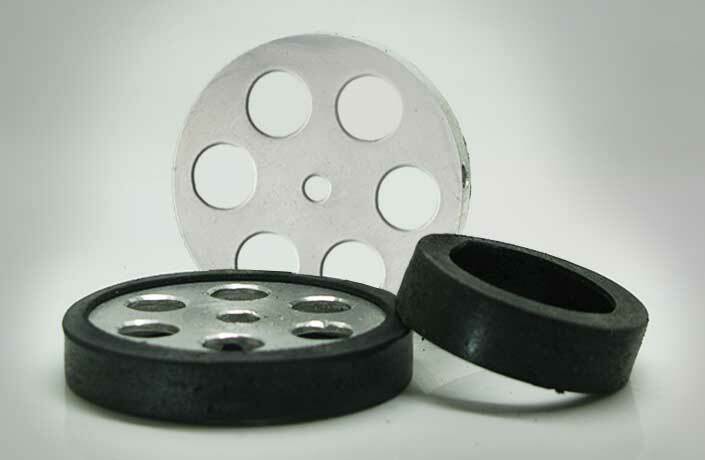 Our Omni wheels can be customized according to customer order in terms of material, size. 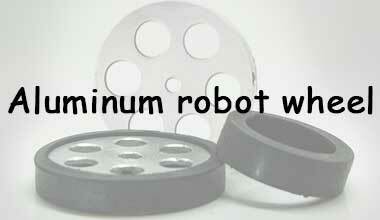 We can add bearing to the robot wheels.